Surrounded by exuberant natural beauty, Sotavento is crated to include a variety of exclusive amenities. The main design aspect of Sotavento has been its location, integration of outdoor spaces and exclusive design of each area maximizing cross ventilation and natural illumination in its interiors. Enjoy the amazing sunrise colors and the view to the Pacific Ocean. 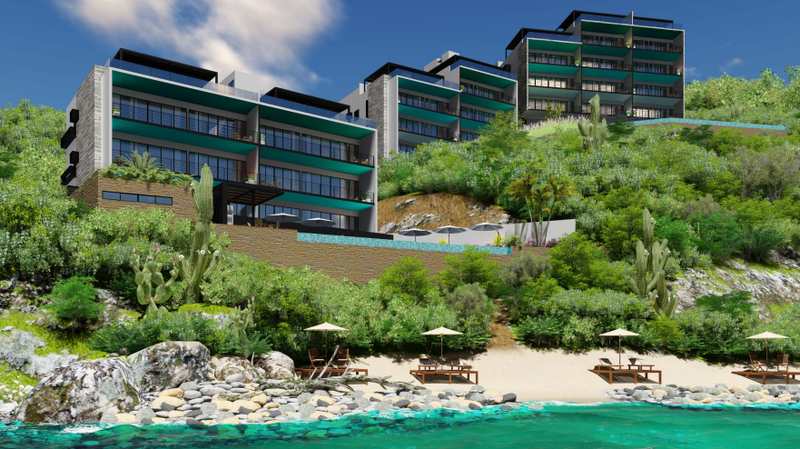 This low density development is that unique experience you are looking for with 2 salt water swimming pools, 2 fitness centers and breathtaking views of the Pacific Ocean, Coast Line and Sierra Madre mountains. Also offering direct beach access to a secluded beach that will allow swimming, paddle boarding and kayaking! Pricing ranging from $348,000 USD – $699,000 USD. Do not miss out on this limited time construction pricing. Reserve your space now.